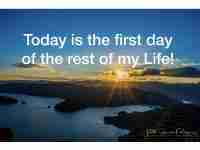 Today is the first day of the rest of my life. Let’s Make the Most of it! !